The trip across the border was swift. My group consisted on a pretty diverse group of young and old people, married and single. We all had different reasons to be there. My reason: I thought it would be “cool” to help build a home for needy families, and I thought it could also be a good bonding time with my husband. My husband’s uncle also decided to come with us, as a baby Christian he was the probably the most excited of the bunch, taking the words of Jesus in Matthew 2534-36 very seriously. I remember I had my reservations about the ministry. I was not mature in my faith and was suspicious of any charity/evangelic effort. It felt cruel to swing bread in the face of starving people if they chose to follow Jesus. For the record, this is not at all how Armor works, but that’s how I imagine it. As the token Mexican of the group I also didn’t want to be associated with the Mexicans, we were there to help. 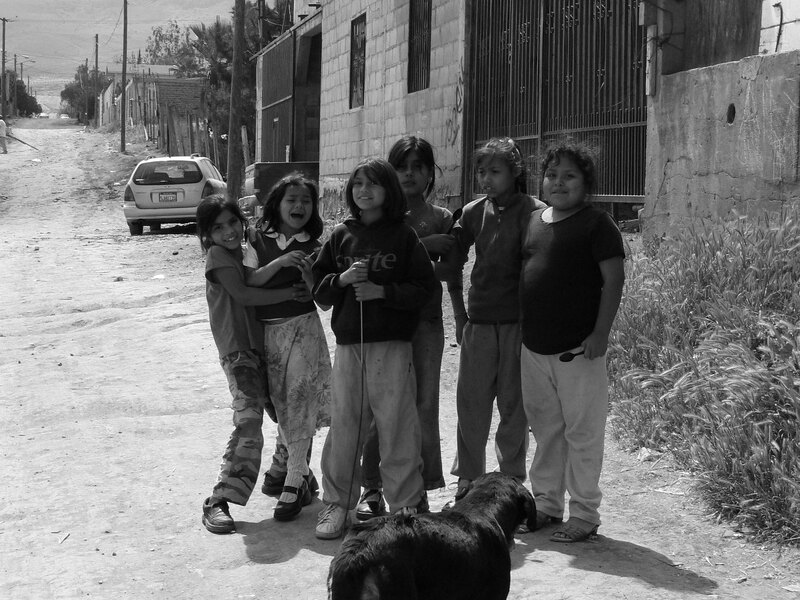 Not everyone in Mexico lives like that I wanted to tell them. While for Americans populations are broken into races and countries of origin, in Mexico it’s a class system whether most of us would admit it or not. Even though I was there to help I had a hidden sense of superiority and broken ideas of what it meant to be poor. 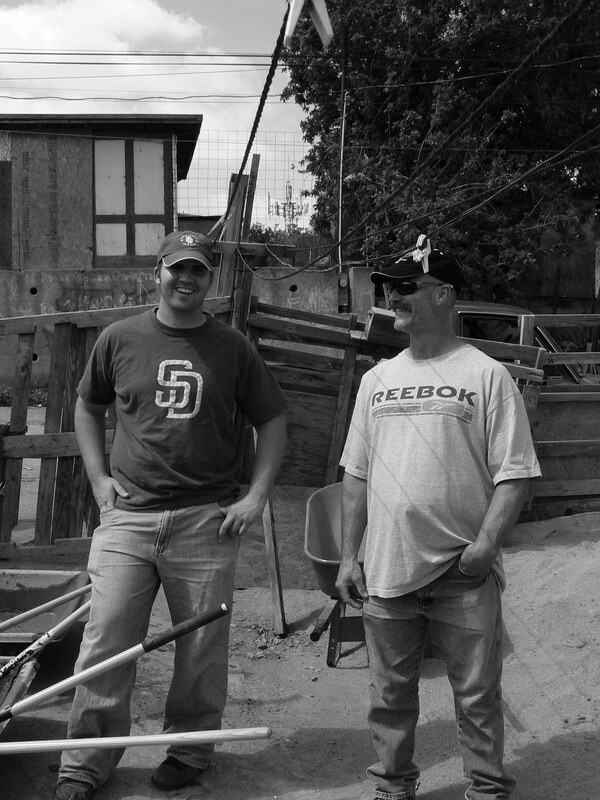 By the time, we arrived at the colloquially named Dump City in the Canyon between the old road Tecate-Tijuana, the lively conversations of dozens of short-temp missionaries stopped. We all simply stared at the desolation outside our window. 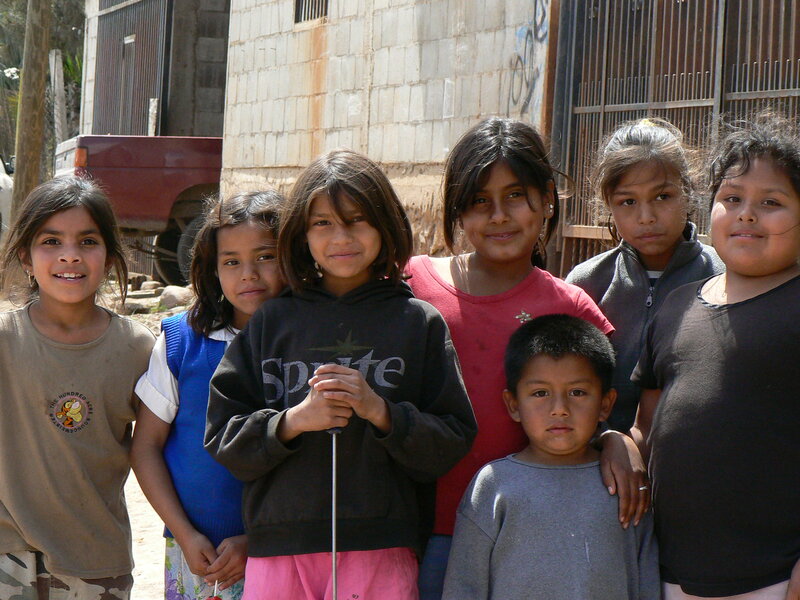 It was incredible to think that less than an hour away from the comforts of home, plasmas TV, manicured lawns, shopping malls and the land of opportunity, a group of people survived off the trash collected from the old municipal Tijuana Landfill. Because we were a one-day building team, as opposed to seasonal campers we were assigned to give the finishing touches to two homes. In the first one, we would pick up some tools and finish up with the cleaning efforts and in the second home we would stucco the outside walls. We were there to do extreme home-makeovers, but I didn’t count on a heart-makeover, much more impressive than the homes built. It was easy for me to judge poor families. I couldn’t comprehend why if they were so poor would they keep having so many children. Why would they not choose something better for themselves? In every child I was seeing the same repeated story: Children continually born under the same or worse circumstances than their predecessors, with no fault of their own destined to poverty. 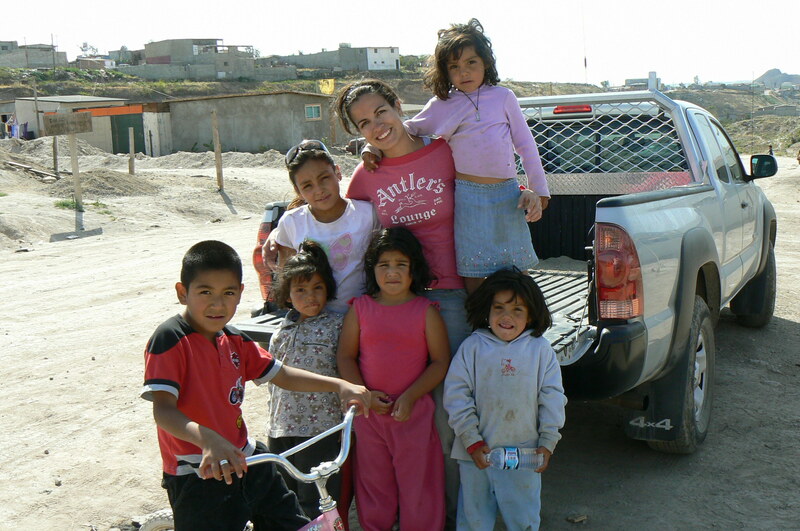 One of the staff members at Amor shared with me that the original mission for Amor was to help children who ended up in orphanages after their parents could not look after them. However, the founders decided that empowering families and helping them stay together by building homes, the family could use their own resources to send their kids to school, they would get sick less often. In short, families that stayed together, grew together. At the first home, on a strip of land below the dump. I heard the testimony of a man who quit drinking after his wife began praying for him. He also had gotten a job and was sending his two daughters to school. The trash collected around the house was part of his livelihood as he would sell at a recycling plant nearby. He was very thankful that he not only had a roof over his head but a concrete floor on the ground for his loved ones. Before Amor, his house did not have running water or indoor plumbing. During the rainy season, the dirt roads turned into mud rivers that would wash into the house. Many homes in the area were still shift made homes built with discarded pieces of wood and plastic and roof tarps. We could still see many of those homes. How would anyone be able to raise above that on their own? By mid-morning my heart had begun changing. I started seeing the children as my own. Despite language barriers with some other members of the team, they also managed to share their love and gratitude. We were thankful, for the experience had not only taught us to appreciate what we had back home, but we were witnessing resilience that is born into the human spirit when shown love. Poverty turns out is as physical as spiritual. During the building process, all the work is done by hand. At Amor, volunteers don’t use power-tools to be more inclusive. Which it meant I was not above mixing concrete. I discovered it’s really hard work. I have much more appreciation to construction workers all over the world. No day at the gym has ever felt that good. I didn’t know I had it me, but that’s part of the incredible experience. Towards the end of the day, I knew I wanted to be back, but life got in the way. Nevertheless, a seed was planted that took six years to sprout. UPDATE: Since that trip, the old Landfill of Tijuana closed. 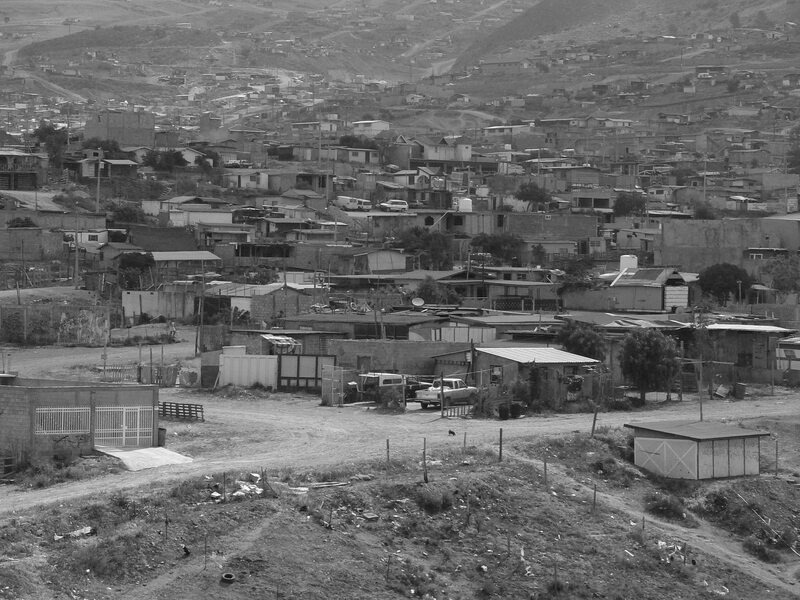 Many families lost their incomes, while some found jobs in the maquiladoras, the area is still in dire need. If you want to support my work with the organization, please visit https://www.amor.org/give/staff. Input my name in the comment box Fabiola Johnson. All donations are tax deductible.